Bihar Chief Minister Nitish Kumar today called on Japanese Prime Minister Shinzo Abe in Tokyo and lauded his efforts with Prime Minister Narendra Modi in deepening ties between the two nations. Kumar, who is accompanied by state road transport minister Nand Kishore Yadav and senior officials from the state, reached Tokyo around noon and began his tour with a luncheon hosted by Japanese State Minister for Foreign Affairs Kazuyuki Nakane, an official release said. Kumar thereafter met Abe and lauded the efforts made by the latter and Prime Minister Narendra Modi in the direction of deepening Indo-Japan ties, the release said. The Chief Minister also thanked the Japanese PM for the assistance being provided by Japan International Cooperation Agency (JICA) in improving road connectivity between Patna, the Bihar capital, and tourist spots like Bodhgaya, Rajgir and Nalanda which are held in high esteem by Buddhists. Kumar also invited Abe to visit Bihar on his next tour of India and requested technical help for "Peace Corridor" - a high-speed rail link which would cover the Buddhist Circuit. The Chief Minister also discussed the immense potential of the state in sectors like tourism, agriculture and food processing, the release added. 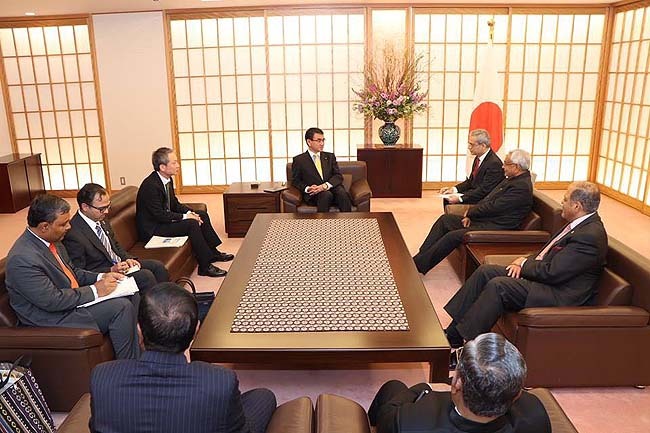 Later, Kumar met Japanese Minister for Foreign Affairs Taro Kono and held discussions on the feasibility of direct flights between Bihar and Japan and investment possibilities in the state for the far-eastern economic power. Kumar also met Masafumi Shukri, Chairman of International High Speed Railway Association and they held detailed discussions about the proposed "Peace Corridor", the release added. The Chief Minister also interacted with people from Bihar who have made Japan their home and commended their achievements. 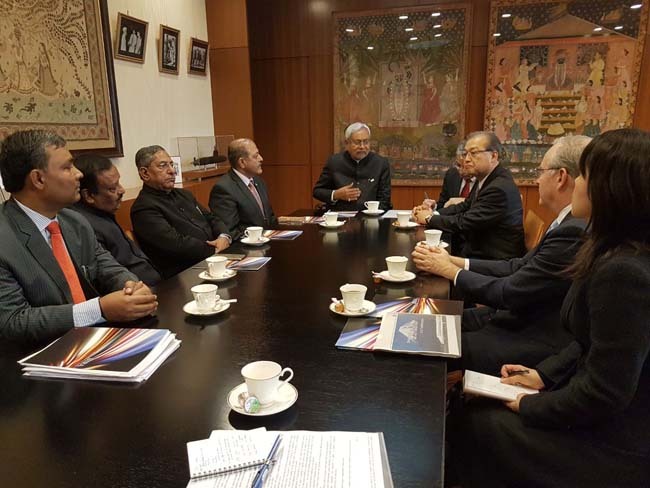 Kumar is on a three-day visit to Japan.